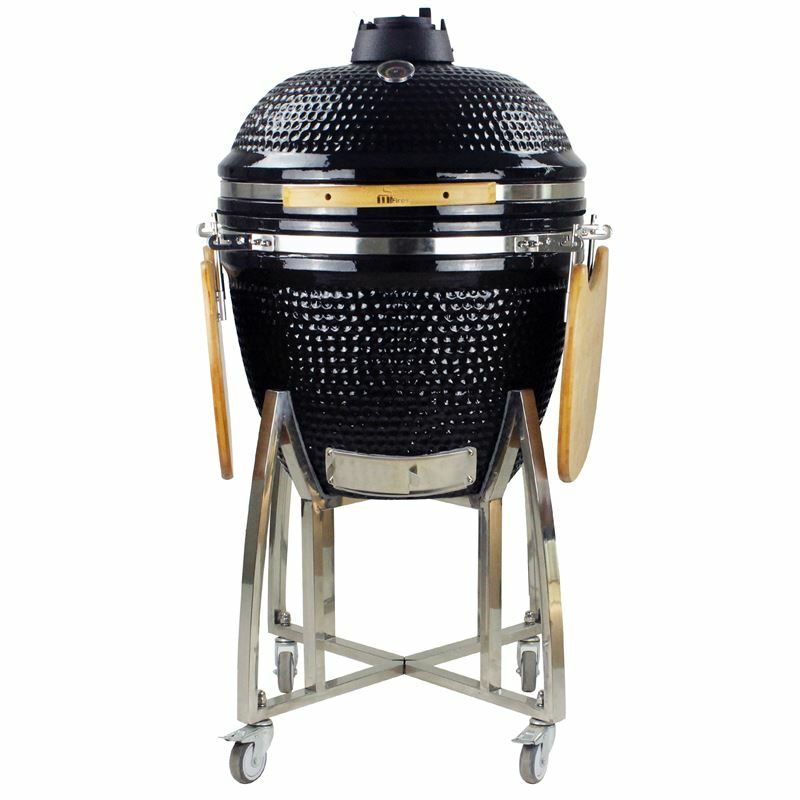 The Kamado Grill features thick ceramic walls to retain the heat and juices, providing an even cook and an enhanced flavour. 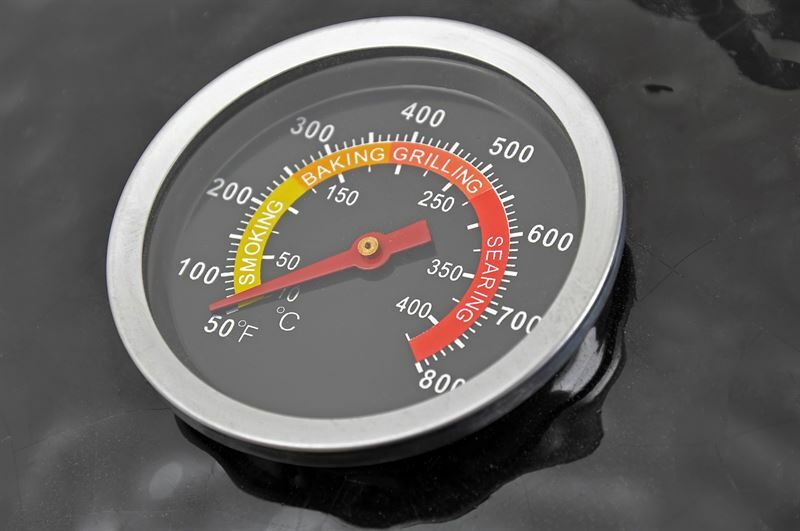 With the top damper and bottom slide vent the heat can be controlled, using the built in thermometer, to cook such food as ribs, pizza, burgers, vegetables or sear steak. 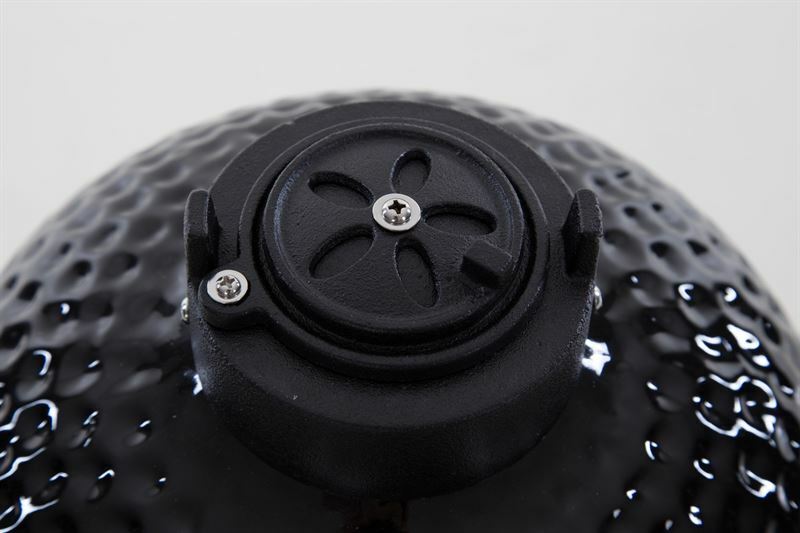 Top vent - The Kamado Grill has a top vent for great temperature control. Temperature gauge - The thermometer is a brilliant addition; No more overcooking providing much higher quality cooking. Spring loaded lid for soft closing - The Kamado Grill is very solid and well built with a spring loaded hinge to allow a smooth opening of the lid. 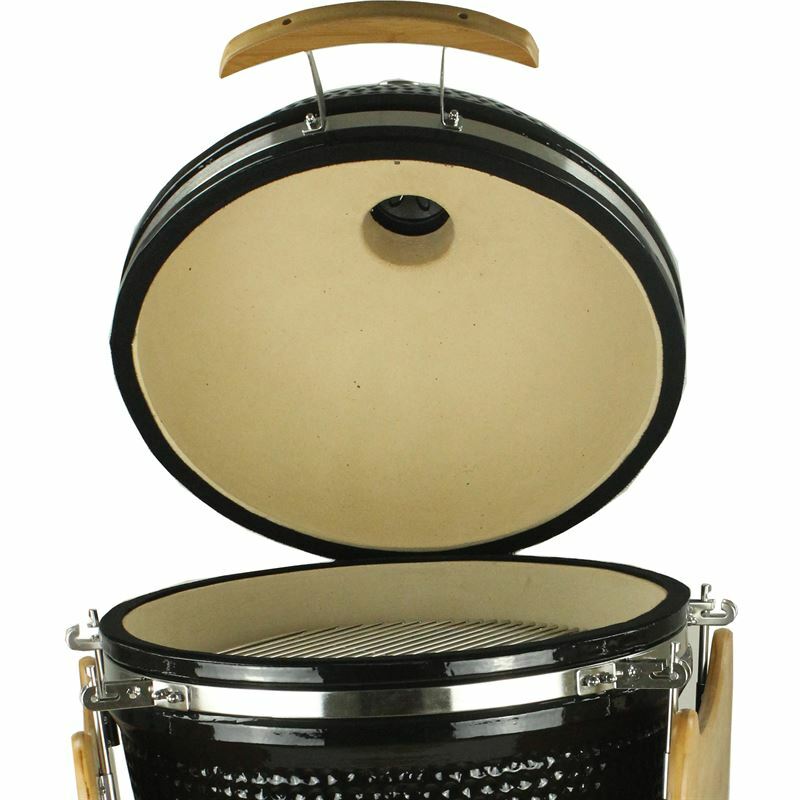 There is also a shock absorber to prevent slamming of the lid and the locking wheels will keep the Grill in a secure position. 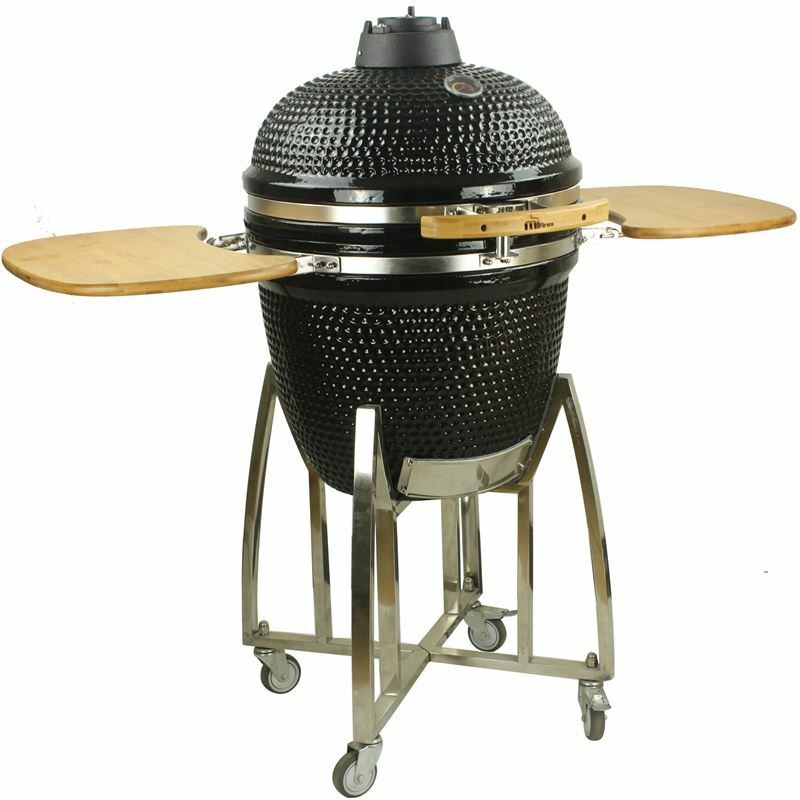 Side shelves - The Kamado Grill also features bamboo side shelves with plenty of room preparing and serving, which can be folded down after use.